Characters: 5 I thought the duel narrative structure worked really well here. Millie, with her optimism, organization, and drive is hard to not love. She wants to help all of her friends and achieve her own goal of going to broadcasting journalism summer camp at UT. Both she and her mother are plus sized, and it is very compelling to see the struggle it creates in their relationship because, while Millie has learned to love herself at any weight, her mother has struggled with yo-yo diets and the harmful ideas propitiated by society that there's "a thin girl inside just waiting to get out." I feel like this adds to the important narrative about how challenging self-acceptance is even if you feel good about yourself internally. Callie has a much more cynical outlook on people. Once stripped of her dance team and popularity, she begins to see the error in their ways and how truly awful they were to each other and everyone around them. Her short temper definitely leads to a few missteps as Callie tries to reconcile what her identity is without the Shamrocks, a tradition her Nationals-winning mom had started. Callie also struggles with being half Mexican because the rest of her family, mom, stepdad, and half sister are all white, This is especially an issue in her tiny, Texas town where she'd often get mistaken for the help. Though Callie never shares these feelings with her mom, her discussions with her friends are important. Millie's other friends, who she drags Callie into, also represent a wide group of people. Ellen, Willowdean, Hannah, and Amanda have different body types and sexual orientations that are both discussed and celebrated within the group. While I would know a bit more about these girls if I'd read Dumplin' first, there was plenty of detail to bring the girls to life. Plot: 4 I really enjoyed this story. Each of the main characters guided the plot with one main problem of their own. Callie dominates the start of the book with her Shamrock drama before Millie takes over with her dreams of going to broadcast journalism camp and the many challenges that come to present themselves. There are also great subplots involving boyfriends (good and bad), sleepovers, and parental expectation. Writing: 5 I knew I would love this book before I even picked it up based on Ramona Blue. I just love Murphy's style. I think she did a great job telling a story that both had substance and levity. I've never read a companion novel before, so this was a first for me, but I love it. It's perfect for me because while I don't love series, I do sometimes wish I could stay in the world longer. It will be exciting to read Dumplin' to find out some of the details of what happened before the events of this story unfolded. 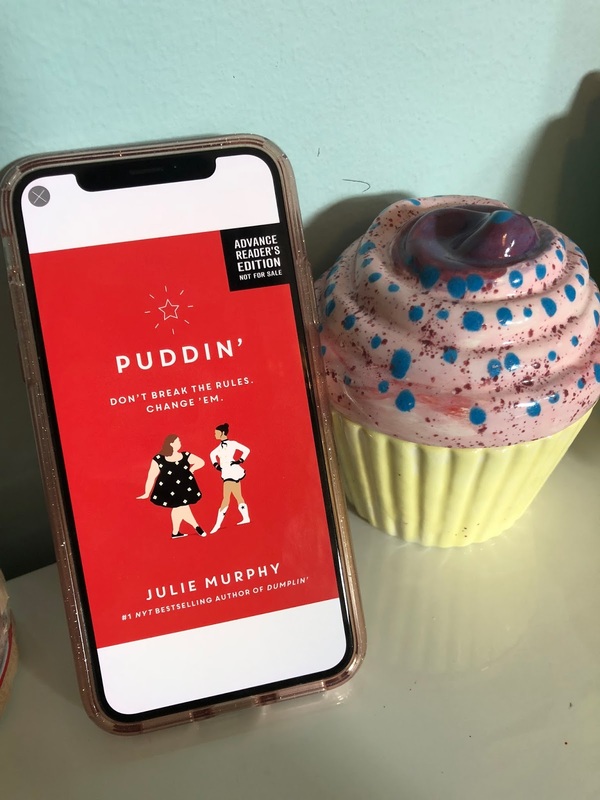 While I did it backwards because Puddin' was the book I could get my hands on first, I think that you could potentially read the books in any order, though I might recommend starting Dumplin'.